What do you mean ? Favourites widgets are working fine on my setup. 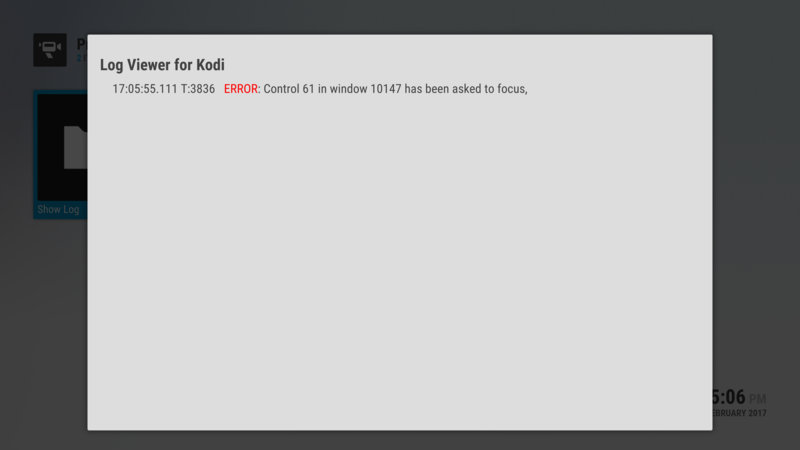 If it's still in error, do you see any errors in your kodi logfile ? I set One of content.(Movie,tvshow,season,episode,artist,album..... ), in favourite. 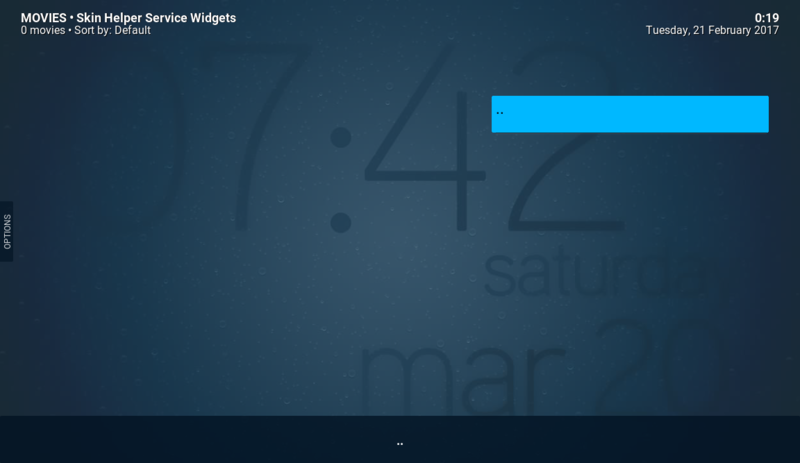 Open S.H.widget from Addon (your code are in that addon-no mine) with Button "use". Hi marcel, just curious, could the websocket be made to 'set' a string? Would be useful for getting infos out of dialogs. (2017-02-19, 22:24)shaneypoopers Wrote: [ -> ] Maybe a problem with NextPVR ? Definitely. I've seen a lot of weird stuff with that PVR backend. New version is on it's way to the repo. Please test with that to see if it's now fixed. (2017-02-20, 00:09)badaas Wrote: [ -> ] Hi marcel, just curious, could the websocket be made to 'set' a string? Would be useful for getting infos out of dialogs. I'm not sure what you mean. Can you clarify ? to translate the $INFO in a dialog as dialogs cant access them directly [strings/propertys etc. and vice versa]. So a way to set a string for use outside of dialog would help, ie. Since the last update, using the multiple clearlogos control as below, it is kind of a hit and miss if the clearlogos show up. Artists that i'm sure had multiple clearlogos (lynyrd skynyrd, sara evans, guns and roses, metallica, and so on are not showing up most of the time. I just tested with Sara Evans and multiple clearlogos showed up then after a couple artists songs played she played again and nothing shows. It is kind of a hit and miss whether or not they show. I stuck a label control with the same info tag as the multimage control and it is blank sometimes with an artist and then with the same artist sometimes it is filled. Thanks. (2017-02-10, 22:30)Guilouz Wrote: [ -> ] Changes clearlogos for music with context menu are no longer working since last update. When I change it, there is no effect. Just fixed that. Will be available in next beta update. It's working on library, but not on widgets, always old clearlogos. Reload skin or reboot have no effect. No more error , but stil got same resultats ..only in tv show have favourite rest are empty. Open from default dialog from SHwidget. I had problem with my system so had to reinstall your latest skin helper 1.1.4. Moviesets details not showing. Have script metadatautils installed. In Krypton (kodi-17.0-Krypton) my widgets for Live TV channels and recent recordings are not working. Also last added music albums widget is not working. (2017-02-18, 10:05)Blurayx Wrote: [ -> ] The default fanart background no longer displays the random fanart, When playing various artists albums. This stopped working a few months back. I done a fresh install with only Titian skin installed. The default various artists fanart still not working. Thanks for your amazing work here ! I'm currently using estuary mod on krypton. 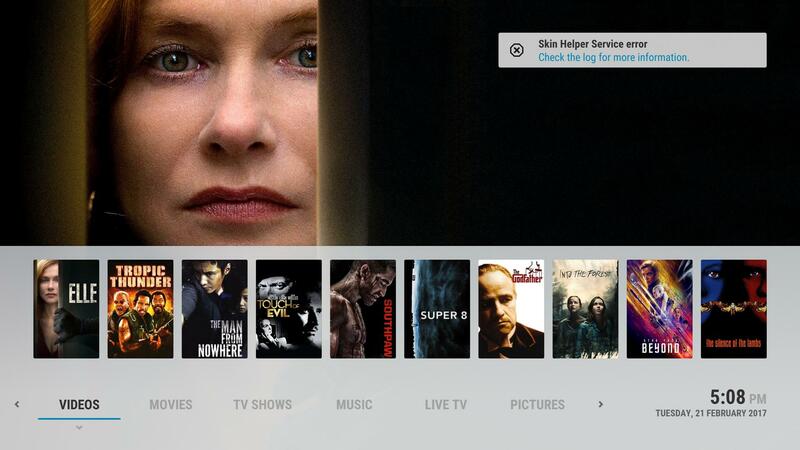 I like the default TV widget with the "next espisode to watch" feature. But my problem is that I use kodi nodes on my tv shows to separate kids and adult TV. And your widget does not seems to allow filter with nodes so I can see kids and adult next episodes to watch on both menu items. Am I missing something here or is that the expected behavior ? I'm having some issues with the Alphabet Scroll Bar. If I choose a letter, I see the spinning circle but then it doesn't jump to the chosen letter. I have it working properly on my other machine which runs Windows 10. Any chance you could look at my log and maybe you could see what is happening?